At 10,000 feet I really started to feel the altitude for the last 1000 feet of climbing or so. Seeing as it was up, up, up the whole way it was quite strenuous and so I was very glad for the windy ~50 degree weather as I got higher up. Living at basically 0 feet of altitude makes me a wimp up there but it’s good practice to keep doing it. Even the drive up to the trail head was pretty intense for the Miata. The bottom was at about 6000 feet and the final 1000 feet of climb was accomplished in maybe a mile of 1st gear switchbacks just to keep the car from lugging. Of course I could have just gone slowly up the hill I suppose but where is the fun in that? Gotta make every one of those 140 horses work! Parking area was quite crowded, expected on a Saturday. I timed it right though since everyone was coming down so I had no crowd at the top. Even right at the beginning the views are excellent! The ski lift was running but it only went about halfway up (in distance not elevation) skipping the easy part. But also seemed like cheating! A cool Lake near the ski slopes. I assume a snow making reservoir perhaps. 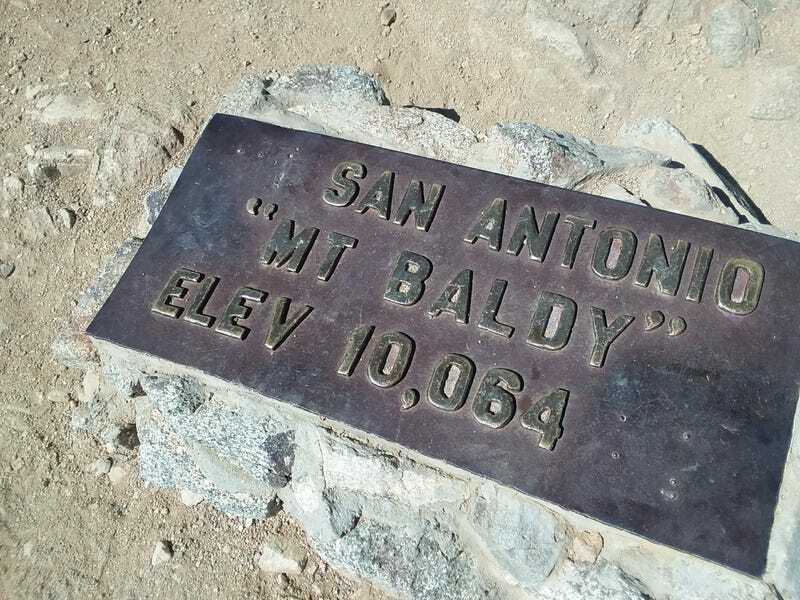 The Mount Baldy ski slopes minus the snow. Although they didn’t get much snow here this year anyways. The trees began to thin out, reminding me that elevation was climbing and why the mountain has its name. Devils Backbone trail was a grueling 4 miles of steady climbing. I went through the majority of my 3L of water during that section for sure. Heading back down was a steep descent. It was the same elevation change in half the distance! Very pretty though at least. Quite the great hike! Looking forward to trying it again some day, hopefully with some Gatorade brought along and even more snacks. I had a chicken sandwich, package of tuna, sandwich bag full of granola/almonds/pecans/chocolate chips, a cliff bar, and some peanut butter pretzels. Still not enough for that kind of hike. 3L of water ran out around mile 10 but thankfully that left just 1 downhill mile to suffer through. I slept well that night and had a huge dinner when I got home!